Netman is free, LAN-Penetrated, Antivirus-approved, PC remote control software. By inputting counterpartÃ¢â‚¬â„¢s IP and control password, you can easily collaborate with your partners or control a remote PC without the counterpartÃ¢â‚¬â„¢s awareness. When the remote PC is connected, you can view and record the desktop, control counterpart's mouse and keyboard, transfer files between PCs, communicate via video and audio, offer remote support, etc. 1. Remote Access. By inputting counterpartÃ¢â‚¬â„¢s IP and control password, you can connect to any computers installed with Netman, view desktop, transfer files, chat via video and audio, etc. Besides you can switch over and let your partner view your desktop. Furthermore, the powerful LAN-Penetrated feature enables you to connect with your LAN partners and increase the productivity of your team. 2. Monitor and Control Your Partner. Apart from collaborating with your partners, you can also monitor from background, turn on PC camera, transfer files without counterpartÃ¢â‚¬â„¢s awareness, record videos of desktop and camera, etc. 3. High Security and Antivirus-Approved. The treble password that Netman adopts ensures you high security protection against unauthorized access. 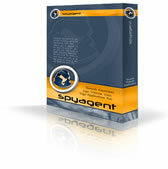 Besides it is recognized by major Antivirus owing to its advanced safety technology. 4. Turn on Your PartnerÃ¢â‚¬â„¢s PC Camera. You can remotely turn on the camera connected to partner's computer in stealth mode; record video of your partner; chat with your partner; or start an online meeting. 5. Remote Boot, Restart, Logoff and Shutdown. You can remotely turn on your PC that is equipped with Netman Computer Starter (hardware), by simply dialing the phone number or cellphone number combined with the starter. 6. File Transfer and Management. You can transfer files between computers with high speed; modify files ; create new files and folders; delete files, etc. 7. Remote PC Support. Remotely offer PC support to your friends or partners who are not tech-savvy. This site does not contain serial number, crack, keygen Netman serial number : serial number is the simplest type of crack. A serial number(cdkey,product key,etc) is register the program as you may already know. a crack or keygen may contain harmful software. If you cannot find the exact version you want, just give it a try. for more information read .nfo/.txt/.diz file include in zipped file.